You guys should probably ask general Wulfgard questions over in the Q&A topic, to avoid cluttering up Muffo's RP topic. I have attempted to answer your questions there, Bobafettmaniac. Appearance: Lynaia stands about 5'11'' tall. Her face is beautiful in the typical elven way. She is strongly muscled, but still retains a distinctly feminine shape. She wears her dark brown hair all drawn back into a single large braid that hangs to mid-back. Her eyes are heterochromic: the right is a dark slate gray, while the left is a very pale silvery gray. Her skin is very pale and has a slight blue-gray tinge to it. Skills: She is a capable healer, and is familiar with a wide variety of plants that are useful for that purpose. She is also extremely proficient at fighting both with her staff and hand-to-hand, she can quite literally kill people with her bare (well, armored) hands. In addition, she has a beautiful singing voice. Weapons: She carries a staff that stands about shoulder-height. It is made of a dark wood that is incredibly hard and strong, and is inscribed with numerous holy symbols. Its ends are capped with silver. She also carries a small knife, though it is more for utilitarian than combat purposes. Her armored hands and legs also fit all conventional definitions of "weapons". Armor: She wears a pair of steel plate-mail gauntlets, steel greaves and knee-plates, and steel-tipped boots. She also wears a thick leather vest that provides some protection. Origins: Lynaia was born and raised in a small elvish village near the south-east edge of the forest of Mimiriholt. Her mother died when she was only 10 years old. After this, her father became very protective of her, teaching her how to defend herself, though he never allowed her to go very far from home. She never displayed the magical ability so common to her race, but she found her calling at the age of 17 when a traveling priest of Selene, another shadow elf wood elf, visited her village. Lynaia was impressed by his sense of purpose and dedication to helping others, and so decided to devote herself to the lunar goddess, a decision that her father didn't exactly support. As a result, she left home at 19 to travel the land and help others, making her way south into the Empire. She is currently back in the North with the intention of making her way back home to visit her father, but the call to adventure is one she cannot ignore. Edited by Sareth, 09 June 2013 - 04:56 PM. Appearance: Like most imperials Terins average height of 6.0, well built and fit but a bit on the skinny side from all the running, jumping, fighting, he had to do on the streets of The Imperial City . He has brown hair and green eyes, he also had a small strange birthmark on his back that is the shape if a rose which for the most part the most interesting thing about his appearance. Skills: Terin doesn't have that many skills that would be useful for honest work as his only real skill are sneaking around to get his food and get past people. He's also quite good at pickpocketing and lockpicking as he had to do these things so often to get money to get and get food he lost count. When he needs to he can use a sword but doesn't like to as he's in a way a wimp and would rather just sneak by his enemy's instead of fight them. Magic: Terin focuses mainly on illusion as it helps him get past people he doesn't want to confront and also to get him out of certain situations such as being caught by guard or just being caught by someone when sneaking around. 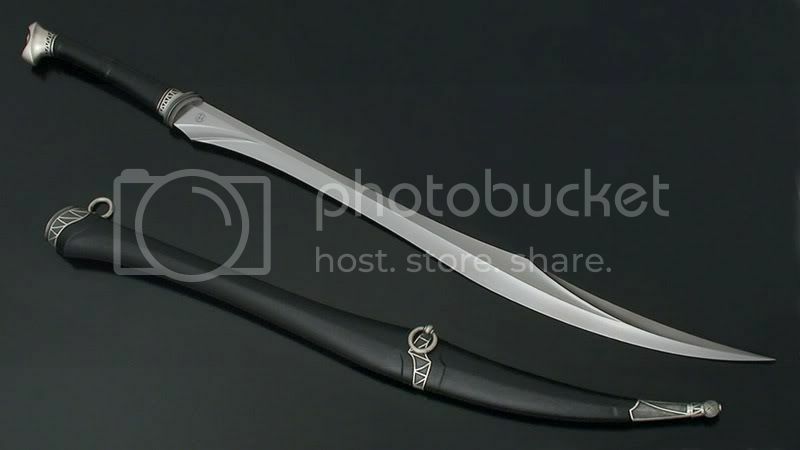 Weapons: Nothing really, he has a scimitar that he was able to get from a rich merchant that was in his dept. But other then that he uses his magic for basically everything else. 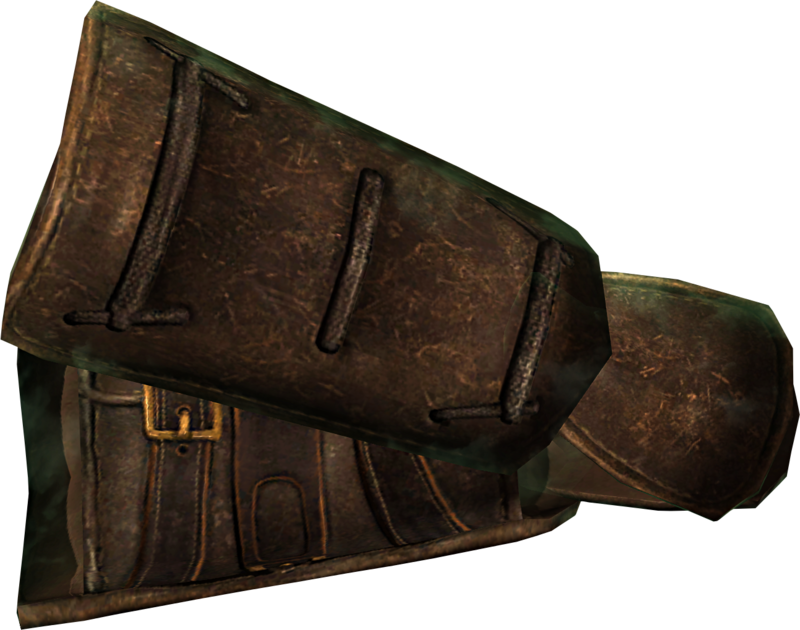 Armor: In his days of living around imperial city he came across a few things that he uses as armor. 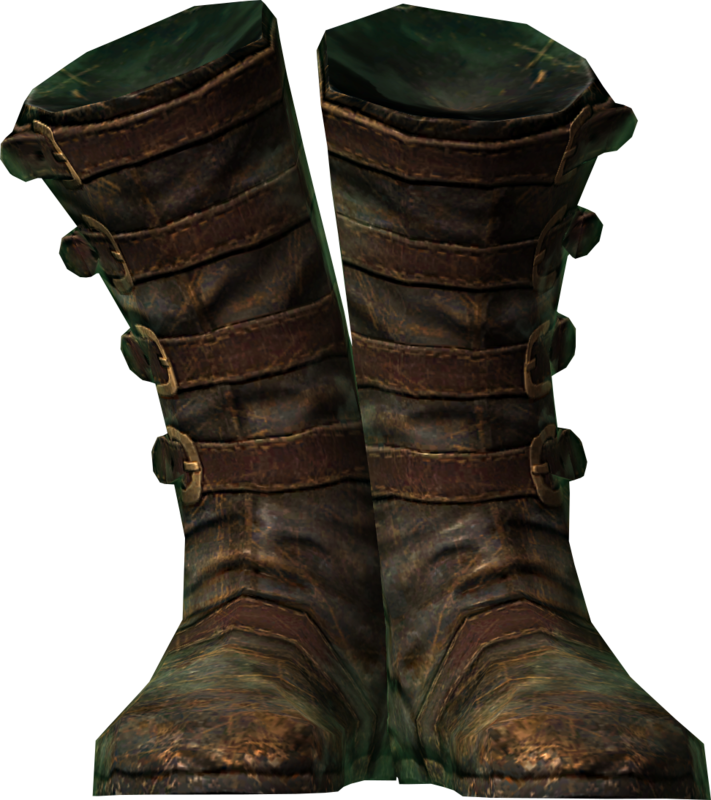 He found a set of leather gauntlets and a pair of well worn boots he found when he was rummaging around in a house he wasn't supposed to be in. He also found a suit of armor with some pockets and clasps when he was walking around in the streets, it took quite a long time to get the merchant distracted before he was able to steal it from the store, but he did pull it of and as far as he knows the shop merchant hasn't found out it was him and other then those three things though that's about it. Origins: Terin was born in the Imperial city and lived there for the majority of his years. In his early years he lived with an elderly widow that adopted him from his mother when she died giving birth to him. She was nice and treated him well but he never particularly liked her much mainly because they nurtured him to much as though he was still a child. When he turned 7 the old widow died, Terin wasn't particularly devastated but he was sad that she was dead and because he had no home now and had to live on the streets. When Terin turned 12 he had been living on the streets for 5 years and he had become tough and smart. He new Imperial city like the back of his hand and used it to his advantage many time. He had become an able fist fighter and knew his way around a knife but he didn't ever use either of his new skills because he knew what it felt like to be beaten and mugged. He also knew what it felt like to be stabbed and slashed and because he knew the pain of these things he never wanted to do these things to other people instead he would sneak by them or just go a different route. When Terin was 15 he discovered that he was an elementalist. He had heard of them before but didn't know what to really do. Luckily soon after he had found out about he powers a man showed up and told him to come with he, Terin was a bit reluctant to come at first but his curiosity soon took over and he went with the man. Terin had not expected that the man to be a master at magic but none the less he was excited when the man offered to train him. At first the man trained him in elemental magic but Terin soon asked him to stop that and teach him in illusionary magic as he had become quite interested in that type of magic when he was reading one of the mans books. The man was happy to teach him but warned Terin that it would be much harder then what he was learning before and it would take full dedication. Terin told the man that he would work as hard as he possibly could and wouldn't quite till he had mastered everything the man taught him. Terin stayed with the man for over 8 years and was now 23 years old, he had mastered most of the things the man had taught him and was now a very skilled at illusionary magic. Terin and the man had become good friends after all the time they spent together but Terin decided that it was time for him to leave and to figure out what he was supposed to do with his life now that he was older and more mature. He had thought of going back to the Imperial city but decided not to as all he had gotten out of there was the fear that he would be beaten and the thoughts of a full stomach. So he decided that he would just travel for now and see where it brought him. And there you go, I'm done my character and the pleasure was all yours. Edited by FearFiend, 14 December 2012 - 02:18 AM. You're DARN TOOTIN i love to roughhouse!!! I really wish arcane was acceptable though. Thanks ya i see my mistake now, I checked out the link and i think your right. Skills: Drew plays multiple instruments, including piano, trumpet, and violin. Drew is also fairly good at stealth. Magic: Drew is an arcane air elementalist. Weapons: Drew caries a crossbow stolen from a defeated lycanthrope hunter. He also has 2 long hunting knives. Both knives can retract to only the sphere on the hilt for concealment. One knife is void iron, he got this from a friend whom he had helped out by defeating an inquisitor. The other has a silver coating. He bought it from a smith who didn't know it's full value. Unfortunately, the silver one is very soft, and slightly dull. He is an ok shot with the crossbow, but his close combat skills are a little less than mediocre. Instead, he tries to use magic alone in battle, and only uses his void iron knife when fighting another mage, and his silver knife when fighting lycanthropes. Armor: Drew has one metal gauntlet, and one leather gauntlet. He wears studded leather armor. Origins: Drew grew up in a secluded forest. Early in life, his town was attacked by a group of lycanthropes. They killed his mother, and gave him a scar that runs the length of his spine. He and his father fled with the survivors. Ever since that, he has harbored a deep loathing for beastfolk and lycanthropes. Drew hated feeling so helpless during the battle, so he tried to learn different fighting styles, so he would never feel that way again. he started with a sword, and, failing that, moved to knives. He showed enthusiasm for this, but was never very good. His technique with the bow was bad, but he was pretty good with a crossbow. Finally, he moved on to magic. He quickly surpassed all of his master's other students. For a long time, all was good. Then catastrophe struck. A group of inquisitors attacked Drew's master's house. Drew's master was killed, and so were many of his fellow students. Drew struck back using his crossbow. He killed one, and injured another. Then he grabbed a fallen knife, and fled. He makes a living defending small villages from beastfolk, and makes it a habit to defeat any inquisitor he can. In his opinion, the world would be a better place without them. If anyone has any good ideas about my character, please share them! Thanks! Is twenty sentences ok? I can shorten it if need be. Appearance: Karrel is a large and muscular dark-haired man. His boots are rugged and worn from years of travel through hostile lands, and he wears a thick bearskin cloak. His beard covers most of his broad face, but cannot conceal his brooding scowl or dark stares. Karrel avoids showing his back when he can, as it is crisscrossed with marks from the lash. Skills: He is a brutal warrior, relying more on strength and instinct than technique. Karrel can survive on his own, hunting, cooking (edible but little more), tracking (specialized for the Chaos Races), setting traps (particularly painful ones), and putting foemen to torment (whether for information or vengeance). Magic: Magic is unnatural, foreign, and devious. Magic-users should stay out of the way of men, or be put to the sword. Weapons: A single-bladed longaxe cleaves through his foes in battle, but a long-bladed dirk is as deadly, and useful for torment. He also bears an elven shortsword, more as a reminder than a weapon. 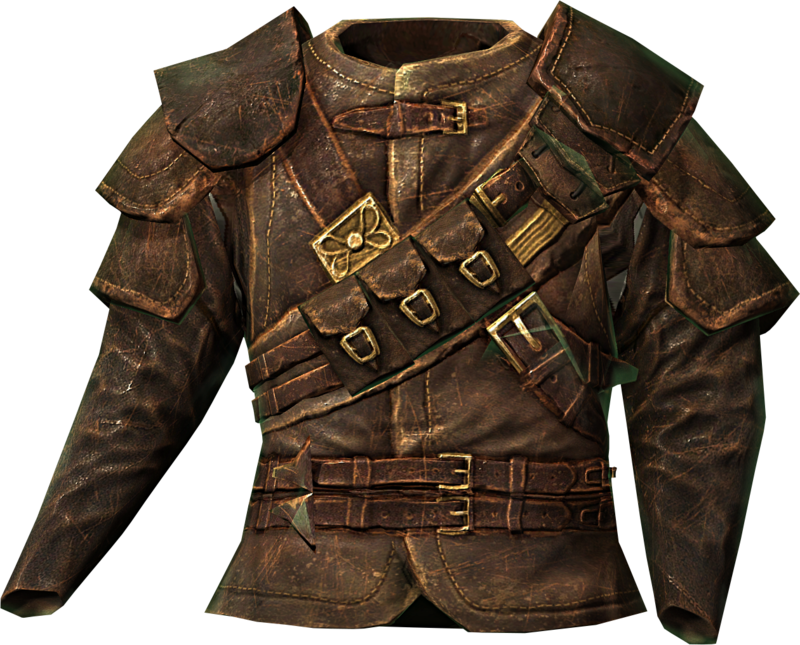 Armor: Thick furs and leather bracers suffice, though a sheet of steel through an enemy’s skull is a more reliable defense. Origins: Karrel was raised to be a warrior of Braaswich, a town beyond the reaches of larger tribes and close to the Jagged Edge. Raids were not uncommon, nor were assaults against other clans, and he had proven himself a capable fighter. One particularly large and savage raid, led by Orcs from the mountains, overwhelmed Braaswich’s defenses. Karrel was taken prisoner and dragged back to a mountainous town where he labored as a slave. While others’ spirits were broken, the three months of cruel punishment strengthened his resolve and burning desire for vengeance. An attack on this town (by elves or goblins, he never found out) presented an opportunity for escape. Karrel scavenged an elven shortsword and fled. He returned to Braaswich and was enraged to discover it had been sacked and abandoned. Now a truly lost man, he wanders the North drinking and whoring, driven by only two purposes. He searches for the warriors that freed him, although if he found them he would not know whether to thank them, swear fealty to their king, settle in their village, or simply travel onward. Along his aimless search, he revenges himself on the Chaos races, justifying his slaughter through his own suffering. "To every man upon this earth Death cometh soon or late. Ok. I'll try. Sorry about it. I use Tinypic.com for uploading my pictures. It's free, and very straightforward. Though, ironically, my sign-up does not have a picture this time. Ah well. Race: Northman. Wanderer. Doesn’t consider any one place to be his home. Appearance: Tall and lanky, Jaysen looks like he was once a lithe, agile adventurer. However, what was once a healthy skinniness built for speed, now looks like a sickly old man who is on his last legs. What was once toned muscle is now loose flesh, and the scars of countless other brawls are showing through. His left eye has a long scar running from his forehead down to his neck. The eye itself is missing. Skills: Not as quick as he used to be, but still faster than most men. Back in his prime, he would fight with an oversized knife that he used as a sword, using the speed and the short reach to his advantage. Now, however, that blade has grown clumsy in his hands, and he has shifted his focus to smaller knives. He can throw them with deadly accuracy, and in a fight he can get in close to his opponents. Personal space has no place in combat. Many soldiers, when they see Jaysen running straight toward them, hesitate. Outside of his skill with the blade, he has been around this block a few times. He knows how to go out for long missions, and he knows how to guide others to success. Also, he is an excellent cook. He can turn rabbits and birds into stews that would make royalty weep. In his backpack is a collection of spices and herbs and other cooking utensils. He rarely has a home-cooked meal, so he’s learned to turn his meals in the run into something worthwhile. Weapons: He still carries his oversized knife, which he has nicknamed Rusty. There ain’t nothing rusty about the blade, though the handle shows signs of age. He barely uses it though, instead preferring smaller knives due to their light weight. He has taught himself to throw them. In a pinch, the frying pans and other utensils he keeps in his backpack can be used as brute force weapons. They also clang when he walks. Armor: Whatever money Jaysen earned from his missions went straight to booze. His armor is primarily furs and leather, both for speed and for its availability. He made his armor himself. It is a smorgasbord of rabbit, deer, bear, and countless other unidentifiable skins. Origins: Jaysen chose a life on the run, for reasons he will not disclose. Rumor has it that his father and mother treated him very well, but that Jaysen felt that something was missing from what would probably have been a decent, normal life. Nothing is known for certain about Jaysen’s past until his mid-twenties. He met a woman, as all lonely adventurers seem to do, who set his heart aflame. He loved her dearly, and she loved him back. For a time, even Jaysen felt he was ready to settle down. He had a child with her, a beautiful boy named Kenran. But, as time passed, Jaysen could not handle being a father. He turned to the drink for help, and the drink led to violence at home. He punched his wife once, and that was that. She took their child, and ran off. Jaysen could never find her. He realized, far too late, that he loved that boy more than anything else. He wanted to find his son, to talk to him, to see the man his mother raised him into. That was close to thirty years ago. If Jaysen ran into his son on the street, neither of them would know it. This sobering thought forever runs through his mind, and turns him straight back to the drink. He never goes anywhere without a flask in his pocket. Now Jaysen is a sad, lonely man in his upper fifties. He has fathered many other children with many other women, but he does not remember their names. He may not be that old, but he sure feels it. His joints ache, he’s not as fast as he once was, and he feels that his life is at its end. He just needs something to finish him off. Edited by Ryoma, 06 December 2012 - 06:46 PM. I gotta admit, Ryoma, that is one of the best sign-ups I have seen so far. It just is so believable. ...Maybe I should make Helga younger. All these elves are only 30 for crying out loud! Bobafettmaniac: I like the changes. A big improvement. Sareth: For me the only questionable aspect of your sign up is the magic. I'm not big on mythology but I read the article on Selene that you linked me to, and to me there doesn't seem to be much potential for holy powers there (which isn't such a bad thing, necessarily). I'm just wondering what you are thinking in terms of what kind of spells your character might have access to. She's a moon goddess, so maybe the character can generate moonlight at night? Maybe she can induce lunacy in her targets? Or charm beings affected by the phases of the moon, such as werewolves? These aren't suggestions, just things that come to mind. I want to know what you're thinking. Burger Warrior: Good. Her skills now reflect her history. FearFiend: Okay, I like the idea of a character that is hesitant to fight, especially if his nature might influence the rest of the party to sometimes consider less confrontational problem-solving. You have some grammatical issues in your writing, but that's something that requires experience to fix, so that's not going to keep you out of the RP. I don't like the "he doesn't know his name or how old he is" thing because that sort of stuff just makes me roll my eyes these days. I also think you should have the character focus on illusory magic rather than having both that and charm. If you do that then it would be incredibly helpful for you to go into detail in his origins about how he learned to use his magic. As it is now it seems out of place, and far too convenient. Tell me when your affinity and origins are done. Silversnake: Your character needs a lot of work. An appearance and origins would be a start. He's way overpowered, with skills in alchemy, healing, and stealth, as well as a grasp of fire, air, and water magic, and runes, and in addition to all of that a crossbow and two blades made from void iron and coated with silver...and they're retractable "to only the sphere on the hilt" whatever that means. It sounds like you designed the character to be prepared for every possible situation. Cut back on his abilities, weapons, and magic. Specialize him. He's part of a larger group, so he doesn't have to do everything. As of now there is no established "close date." Horatius: Okay, kind of a darker, more cruel character. I like him. I don't really have much to suggest. Ryoma: Alright, a very sad character who has nothing to live for. Makes it easy for me to end his misery. My only complaint is a minor plothole in the bio. The jump from Jaysen being a happy father to being an alcoholic seems problematic. There's nothing specific to lead us to believe that he couldn't handle being a father, except that you're telling us he couldn't. This shouldn't really affect your chances of getting in since you can always reveal more info in the RP itself, but you might want to keep it in mind. Yeah, I was having trouble balancing the details with the "keep this origin short" part. I do plan to keep that in mind, and you can bet I'll reveal more as I go on. If you want me to expand, just say so and I will. If I made my character both an elementalist and an illusionist, would he be to powerful? Hey Silver, the best way to get your picture on to your sign up is to drag it from a different window directly onto the text editor. Just a tip. I've always had more sociable, clever, and moral characters in the past so I thought I'd go a little differently for this one. I'm going to make a few small changes to the bio to make him a bit more multidimensional. Things like that, but I don't intend for her to be using magic left and right, divine magic is supposed to be subtle. I would say so, definitely yes. Okay, as long as you have ideas that's all I care about.